If you’re a homeowner who cares for their yard, chances are you’ve considered tree trimming and tree pruning before. Both are excellent services within the landscape industry. The differences are subtle, though. Pruning is used to remove unnecessary branches. Trimming, on the other hand, promotes healthy growth. Both services are performed at separate times of the year, using vastly different pieces of equipment, to provide a better aesthetic and healthier landscape. Understanding the difference, though, is crucial. Tree trimming helps trees, shrubs, and hedges growth in a healthy manner. Often, commercial clients trim trees to make their property more attractive to prospective clients. A better appearance typically means more visitors. Professionals generally focus on removing green shoots, which helps encourage healthier growth overall. On top of growth, trimming also improves the appearance of the tree itself. Pruning is not just limited to tree maintenance. The term is often associated with the removal of unnecessary branches and sometimes even roots. These branches and roots may be dead and need to be cut away from the tree. In some cases, branches grow in the wrong direction. They push towards electrical utility wires or structures. Pruning helps keep unwanted growth in check. 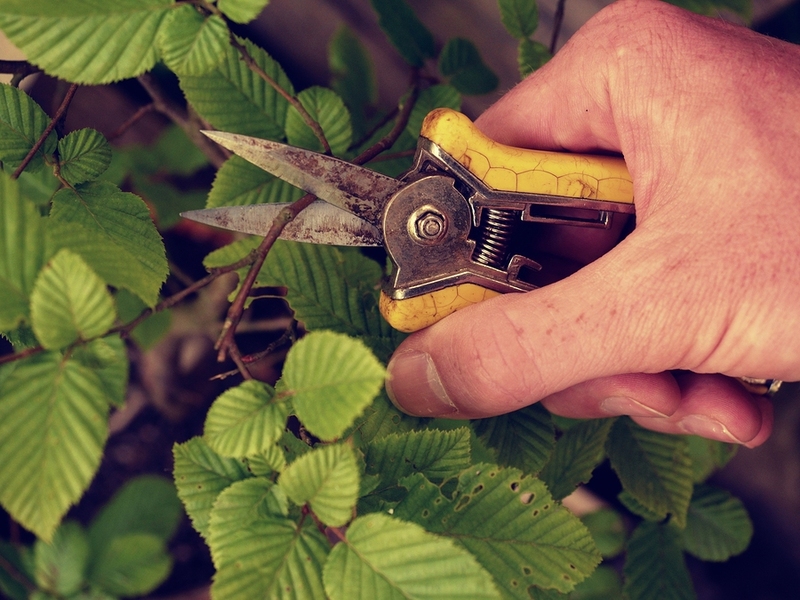 When it comes to pruning, shears are often the choice tool – hand shears or lopping shears. These shears are typically strong enough to cut through thin branches. For thick branches, a saw may be required. For trimming, shears, trimmers, and saws are utilized to provide efficient results and healthier growth overall. If your home or business could use tree trimming or pruning service, contact Blooms Landcare by calling (817) 688-5352. We’ll determine whether trimming or pruning is required, and provide professional results that last and make a difference.